One thing any derby fan worth his/her salt has realized in the three-ish years we’ve been doing this is that we have a lot of roller derby in this town. And that’s a good thing. 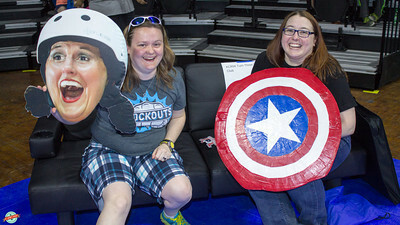 Whatever your preference, whether it’s hard-hitting men’s flat track action, the WFTDA rule set, the MADE rule set, or amazing coed bouts, Kansas City roller derby has nearly everything a fan of the flat track could possibly want. 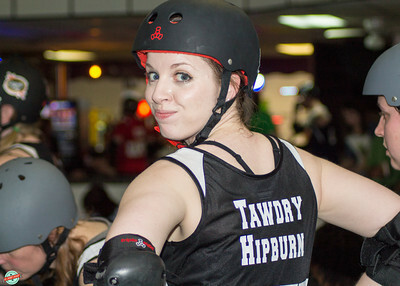 Alongside all that amazing sports action is a plethora of bout photos that we at KC Derby Digest take great pride in… and that sometimes backs us up a week or two. When you follow as much roller derby insanity as we do, that tends to happen. Game dates conflict, photos get backlogged, and we get frazzled. But it’s what we do, and we love it. Having said that, let’s get caught up on some of the amazing bouts this fantastic city has to offer during derby season. Teal Teal Teal! Kill Kill Kill! The Knockouts are the 2014 Rink of Fire champions for the first time ever. They took down the formidable Black Eye Susans 134-99 in a championship bout we won’t soon forget. Earlier that evening, the Victory Vixens secured third place against the surging Dreadnought Dorothys, who as we said earlier this week, are not to be underestimated in the coming season(s). They’ve had a rough go of it the last couple of years, but given their performance on the track at the Rink of Fire, they’re on their way back up in a big way. Bout photos are published, people! One thing that’s never been seen before in Kansas City is coed flat track roller derby. We’ve had mash-ups in the past and pick-up leagues on the banked track that sporadically featured coed action, but never before has a league featured established coed teams in which the ladies and gents directly competed on a regularly scheduled basis. Well, thanks to Dead Girl Derby, that’s all changed, and history has been made in the process. The Public Enemies and the Untouchables debuted last month at B&D Skate Center, and we couldn’t have been more excited. The coed league not only features some of the most promising up-and-coming talent Kansas City has to offer, it also boasts some of the biggest names to ever take the track in this town, names like Bomb Pop, Jamalamadingdong, and Red Ripper, just to name a few. Ladies are coming out of retirement to play for this league, so if that doesn’t tell you how huge this is, I have some beachfront property in the desert southwest I’d like to see if you’re interested in. Last month’s coed bout featured some of the best derby photos we’ve ever had the privilege of publishing, and you can check them out here. The next coed bout will be on Sunday, May 18th at B&D Skate Center, and we’ll be sure and bring you reminders about that on Facebook and here on the web site. Last season, the good people at Dead Girl Derby had one of the greatest new ideas we’ve seen since we started following this fine sport back in 2010: take the skaters who aren’t rostered for that month’s bout, for whatever reason, and roster them for a B-team-style bout against each other. They brought back the OG team names — Black Plague and Gang Green — but kept the lineups consistent and offered it up to the crowd as the third game of the evening. Fans received thrice the derby action for their money, and the ladies involved got some valuable experience on the track — and in front of an audience — that they might not have otherwise gotten. And as this league continues to grow by leaps and friggin’ bounds, so will the amazing action fans are treated to both at Hale Arena and at B&D Skate Center. The Zombie League debuted last month alongside the Coed League, and the results were incredible. As always, we have the photos. The Zombie League’s next game is again on the same night as the Coed League, May 18th. Keep an eye on our Facebook page, we’ll keep you updated. 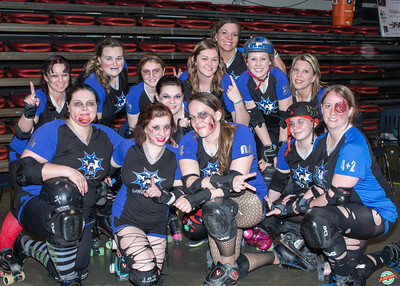 The Blacksnake Rollergirls of St. Joseph are now in their third season and loving every minute of it. As their derby footprint continues to grow, so will their coverage here on KC Derby Digest regardless of the fact that St. Joe isn’t technically Kansas City. The league itself was founded by former Dead Girl and Royal Pain Notorious L.I.Z., who has been in the news herself recently due to some unfortunate circumstances they’re still recovering from. However, last month’s zombie-themed event, 28 Skates Later, was an incredible success at the St. Joseph Civic Arena, and as always, we were on hand to join in the festivities. The four St. Joseph teams — the Jesse Janes, the Venomous Vixens, the Danger Dolls, and the Rushin’ Rollettes — are really starting to dazzle some people with their skill and tenacity on eight wheels, and we look forward to their bouts every month, never mind the 55-mile drive. These BRGs make it worth every mile, and if you’re so inclined, we would encourage you to check out their next game on June 7. As always, keep an eye on KC Derby Digest‘s Facebook page for upcoming bouts, events, and fundraisers, and we will see you trackside, coming soon! Roll on, Kansas City!